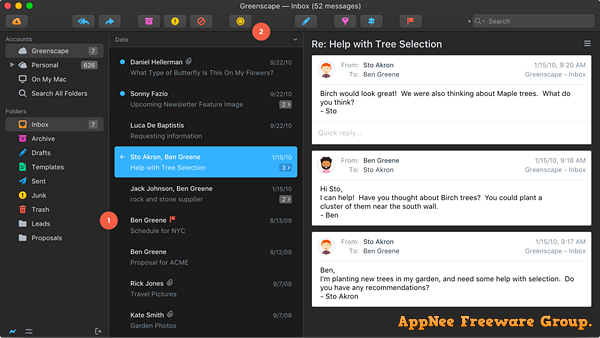 Contact & Communicate | AppNee Freeware Group. The advantage of using an email client is that you don’t have to open a web browser and log in to your mailbox every time; supports for new email reminder; allows to send emails to third-party applications (e.g., Evernote, Todoist, etc. ), and so forth. Therefore, users who need to send and receive emails frequently always tend to use a desktop email client, rather than any web browser. 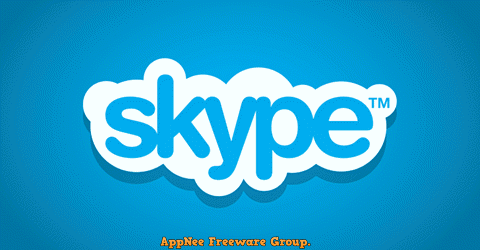 Skype is currently the world’s most popular free HD instant messaging software (and VoIP) for all kinds of desktop and mobile platforms. Low system resource requirement, high-quality voice communication and high stability have won its hundreds of millions of users around the world. After acquired by Microsoft in 2011, it became an independent department of Microsoft. And in 2013, if finally replaced Microsoft’s own instant messaging tool MSN. In 2014, it released an embedded web version. The Bat! 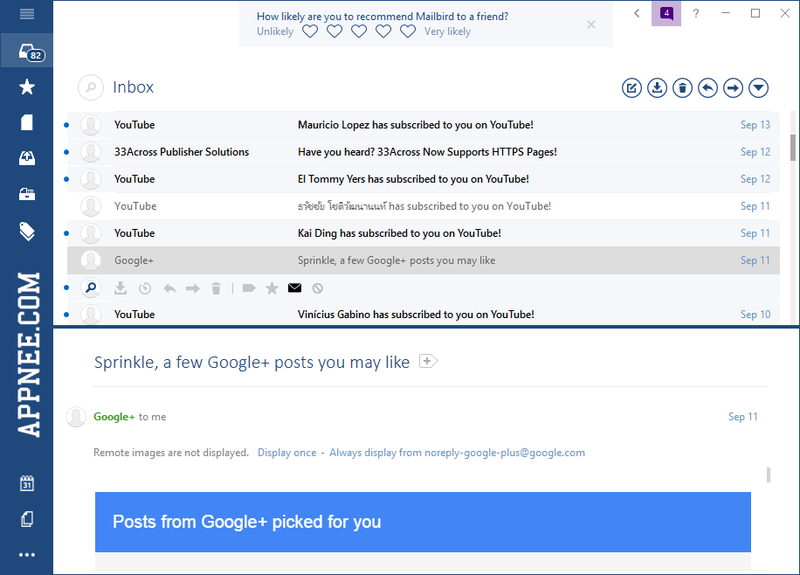 is an email client (from Romania) specially designed for advanced email users who focus on secure email communication. It’s often praised for its extreme flexibility and super powerful functions which can make you more efficiently deal with a large number of emails, so as to save you much valuable time. 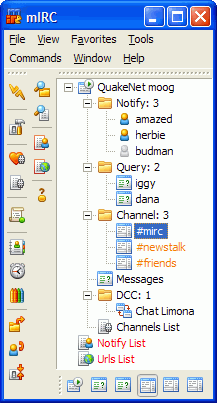 Among the top 10 Internet applications, mIRC was once the most popular IRC (Internet Relay Chat) client with the most comprehensive functions for Windows. It was first started in 1994, written in C/C++ by Khaled Mardam-Bey from Arab States (Palestinian and Syrian). Mailbird is a small, simple and user-friendly free desktop email client for Windows, written in WPF and C#. It focuses on speed and email productivity, was mainly inspired from the classic Sparrow on Mac OS, and is totally different from common email software like Thunderbird, Outlook or Windows Live Mail. 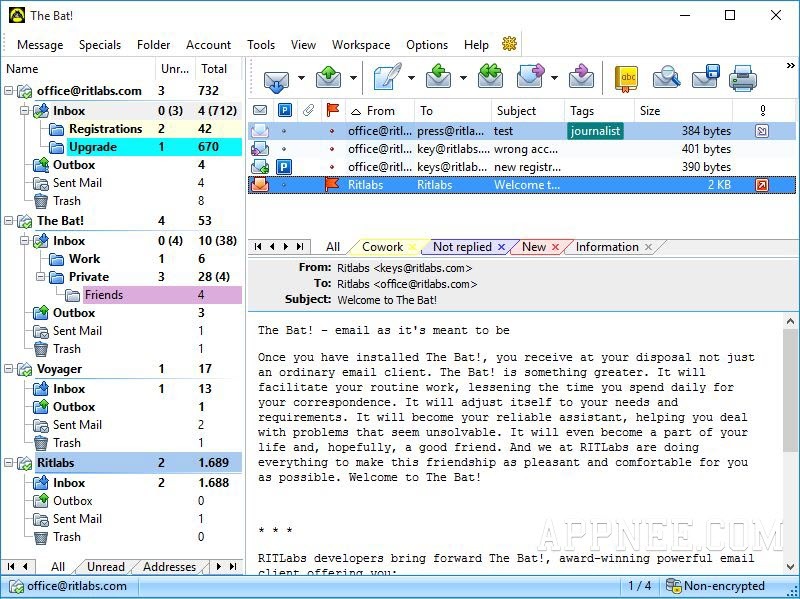 eM Client is a all-powerful free/commercial desktop email client for Windows all platforms (XP+). In addition to being popular due to its modern and friendly UI, eM Client also provides many extra convenient features, such as calendar, tasks, contacts and even online chat. 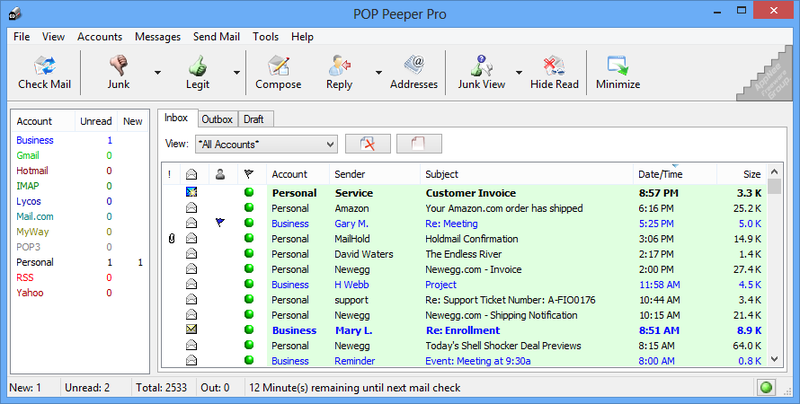 POP Peeper is a very compact, easy-to-use and practical email management (email checker, notifier, viewer; receive, send, delete and filter email, etc.) application for Windows. With its help, users can not only directly read (supports HTML, Rich and Plain three reading modes) and delete the emails from multiple email servers, but also very easily filter out the spam emails, so as to maintain the cleanliness and safety of your mailbox.